To evaluate the role of specialty palliative care consultation (PCC) on end of life care outcomes among terminally ill gynecologic oncology patients. Retrospective chart review of currently deceased gynecologic oncology patients seen at a single, academic institution between October 2006 and October 2016. Clinical characteristics and outcomes were examined using descriptive statistics and logistic regression. Two hundred and four patients were eligible. Forty-one percent underwent at least one marker of aggressive care at the end of life. Most (53%) had a PCC prior to death, and of these most were inpatient (89%). Patients with a PCC had higher odds of hospice enrollment before death (OR 2.55, p = 0.016) and higher odds of advance care planning documentation before death (OR 6.79, p = < 0.001). Among patients with an inpatient PCC, 44% underwent a marker of aggressive medical care at the end of life and 82% enrolled in hospice before death. Among patients with an outpatient PCC, 25% underwent a marker of aggressive medical care at the end of life and 92% enrolled in hospice before death. 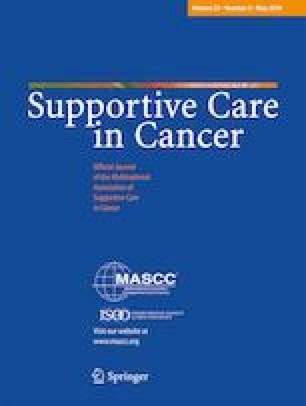 Patients with outpatient PCC were engaged in palliative care longer than patients with inpatient PCC (median 106 days vs. 33 days prior to death). PCC increased hospice enrollment and advance care planning documentation. Patients with outpatient PCC had lower rates of aggressive medical care and higher rates of hospice enrollment when compared to inpatient PCC. Location of initial PCC plays an important role in end of life care outcomes. The authors declare that they have no conflicts of interest related to this manuscript. Dr. Karlekar is on an advisory board for Hospice Compassus.